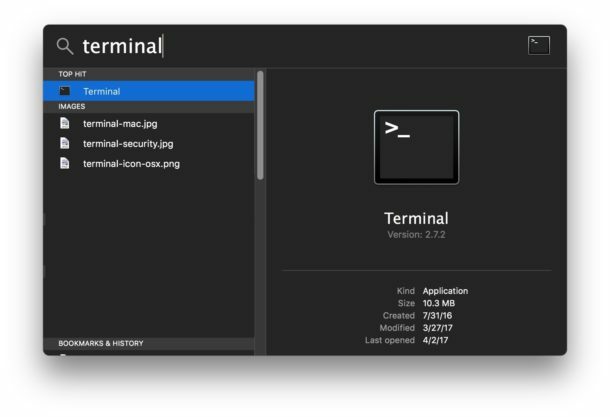 The Mac has a myriad of features available to make our computing lives easier and we cover them regularly, but here we will highlight five particularly simple yet incredibly useful tricks that Mac users can access and use. Some of these tips may be well known by power users, and others less known by everyone else. 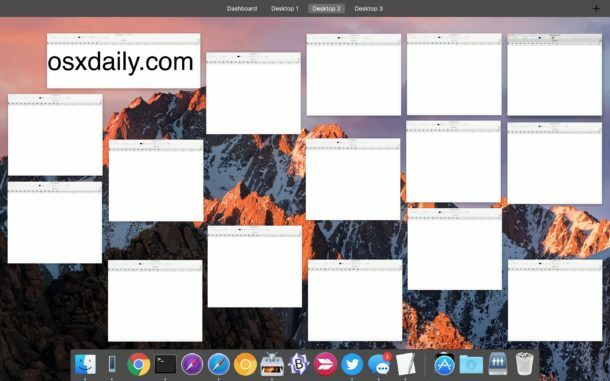 From instant information lookups, quickly reviewing every open window in Mac OS, speedy Emoji access, focusing attention by ignoring notifications, and using Spotlight as a quick launch tool, read on to learn some great tricks. The same lookup feature also can be used for movies names and apps too. Note the tap-to-define ability may need to be enabled separately in the Trackpad settings of Mac OS. Now all open windows on the computer are in front of you, easily scannable, and you click on any of them to bring it to the forefront. This is one of my favorite Mission Control tricks, but there are many others that are just as useful. 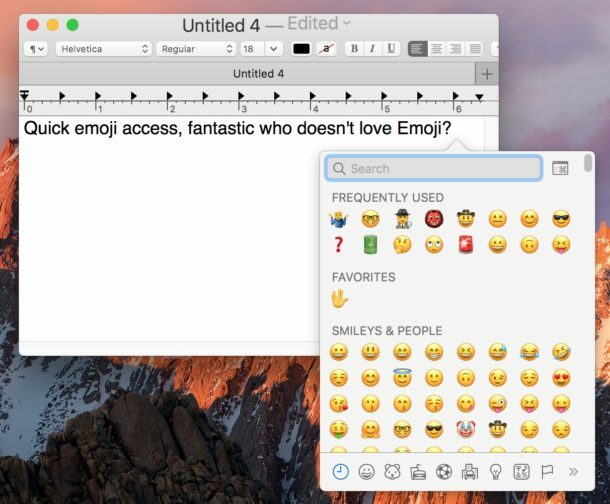 This shortcut trick is the fastest and easiest way to type Emoji on the Mac. 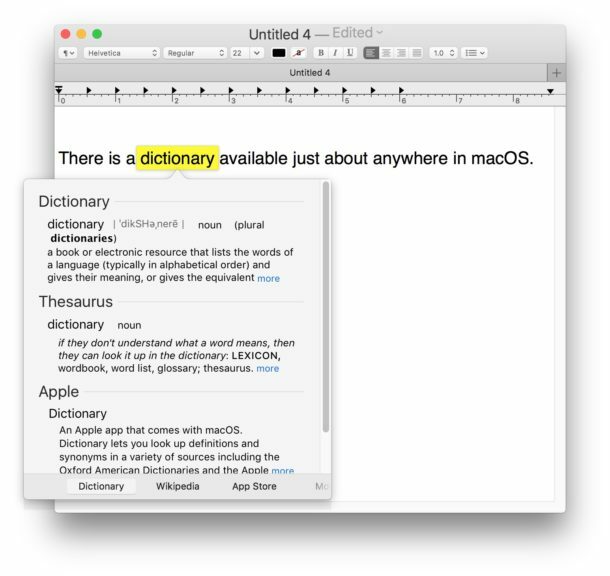 For fast typists and power users, Spotlight is one of the fastest methods of accessing just about anything on their Mac. There are some other helpful Spotlight keystroke tricks to learn here if you’re interested. This will place the Mac into Do Not Disturb mode and mute the Notification Center and silence all alerts for 24 hours on Mac OS, no more annoying alerts, notifications, or other pestering nuisances making it easy to focus. Did you enjoy these tips? 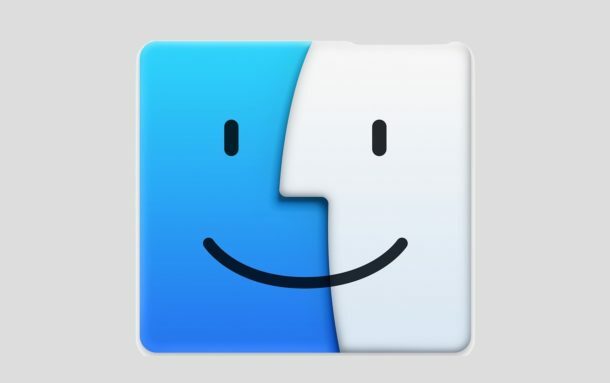 Do you have a particular favorite Mac tip you want to share? Let us know in the comments! The Services menu is also under utilized but great for power users. Automator is also fantastic for power users. 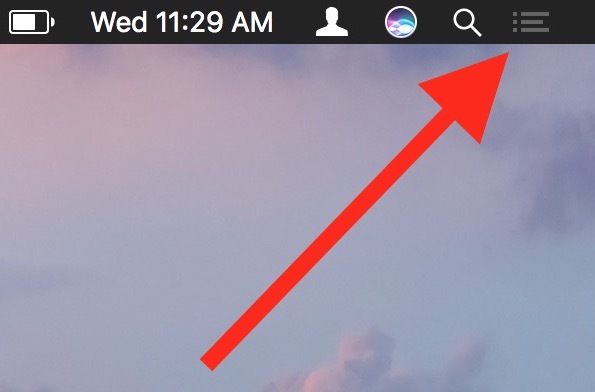 I’ll add that picture in picture is my favorite new tip in macOS. What do you mean by ‘Services menu’? Me. I don’t love emoji. Running the latest OSX Sierra here and 2 and 4 don’t work for me, I could care less about emoji’s I know how to use a spellchecker and why would I want to silence alerts that’s just dumb. More useless information on an increasingly useless OS. But you can still find the time to complain about things which lots of people find useful but for which you have no need? And the tip is about dictionary (getting the meaning of words), not spell checker. For me, too, #2 hasn’t worked since El Capitan. Preferences says it’s activated but neither 4 finger swipe up or Ctr+up arrow work. Agree the others aren’t that useful— seldom use emojis, etc. The more important question is why do you want to be interrupted by information alerts, when they’re so easy to turn off forever! Thank you – I always appreciate learning something I did not know before. I don’t use Emoji. It seems rather juvenile. I keep the apps I use the most in the Dock where they’re always ready. I turned off Notifications because of the annoyance of constant notices of various sorts. My life is simple and uncomplicated and having a bossy computer disturbs the peace! Add, I have a hot corner to see all windows. Definitely don’t like bossy computers. Sandy is 100% right….I cannot imagine why Apple pays big money to a Geek in Cupertino to make these worthless things. Thanks for the tips, always look forward to them. I have the opposite problem: no sound from calendar notifications. Volume is up, internal speakers chosen, notification sound enabled, all other sounds work fine. Latest macOS on iMac but hasn’t worked for years. Why are you and Tim Cook obsessed with emoji? Who do you want to be? 12-yr old girls? Great tips – thank you. An even easier way of looking up a word in the Dictionary or Thesaurus is to use Force Click on a late model MacBook Pro. Takes you straight there. I don’t use emoji much but when I do it’s nice there’s a keyboard shortcut to launch the app. What’s not nice is I haven’t found a shortcut to close it. Hint: Cmd+W does not work. Any thoughts? I didn’t know I could highlight names and places too. Myriad thanks! I use emoji as a sort of flag in both Notes and Calendar by choosing one as the first character of the title–like 🎲 for ‘Game Night’, or 📽 for ‘Flick with Rick’. You get the idea. “But Kyle,” you might say, “that’s what tags are for.” I hear you, and I use tags myself. But I also use emoji because (A) it’s easy to filter visually when scrolling in list view, but *especially* (B) searching! It’s crazy easy to search your Notes or Calendar by one simple emoji. And even though you can’t type an emoji into Spotlight in the same way, you *can* copy/paste one into it. So a paste of 📽 will automagically display your “Movies to See” Note as well as all the scheduled movie dates on your Calendar. Anyway, maybe something you’ve always considered frivolous might turn out to be useful after all…? It’s been several months since you posted but THANKS So Much for this tip. I like to keep my project folders in the Finder Sidebar where everything is unrelentingly bland & grey & unconstrasty now, and it’s harder to pick them out of the list. I just renamed them with colored emoji diamond shapes, etc. and they show up much better in the Sidebar. Sigh of relief. Had been using XtraFinder but it no longer works. Although I don’t use about 70% of the tips I enjoy the other 30%. In fact, I print what I like and have started a file with your tips. Thanks so much. I use a few emojii and I’m in my 60’s. a Dnosaur (:dino:) i is a regular one because I’m a bit if a tech Dinosaur. Well, I do help restore old computers in my spare time. With you on that Sammy…i am a Dino as well…in my late 60’s and enjoying my new found skills 🍺 ⚓️ retired sailor.